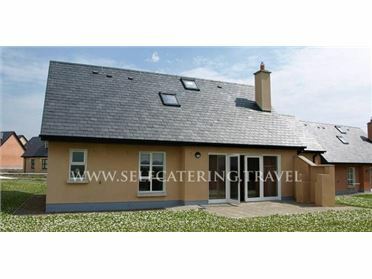 Lis-Ardagh Cottage 2 is a charming detached cottage situated in the village of Union Hall in County Cork. This cottage sleeps four people in two bedrooms, consisting of one double and one twin, as well as a shower room. The cottage also has a kitchen with dining area and a sitting room. Outside, there's ample off road parking, a private patio with furniture and shared use of the owners' lawned garden. Lis-Ardagh Cottage 2 is a convenient base for a couple or small family with plenty to see and do in west Cork. The small fishing village of Union Hall in West Cork offers water skiing, diving and canoeing, along with a selection of pubs and seafood restaurants, a supermarket, fishmongers, a Post Office, a bureau de change and the annual Union Hall Festival, which is held every June and features a variety of games and watersports. The market town of Skibbereen is nearby and boasts colourful shops, restaurants and pubs, as well as the fascinating West Cork Arts Centre and Skibbereen Heritage Centre. .